One-Leaf Glycine is a spreading herb with branches 3-edged. 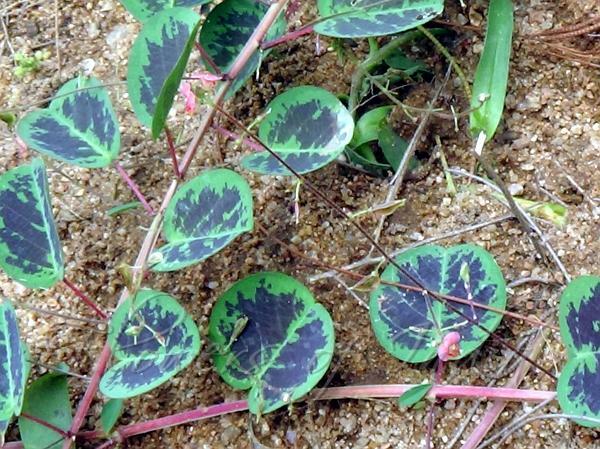 Leaves appear simple, but are compound, with axis 1 cm long; leaflets 1-3, broadly obovate, rounded or notched, hairless above, velvet-hairy beneath. Side leaflets are very much smaller than the central one. Flowers are borne in 18-24-flowered racemes. Calyx 1-2 mm long; teeth very short. Flowers are pink, 3 mm long. Pods are long, hairless, finely netveined, 6 mm long. 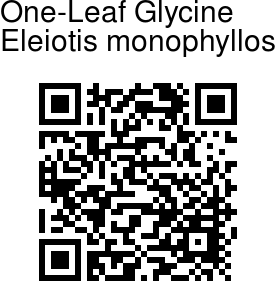 One-Leaf Glycine is found in India and Sri Lanka. Flowering: May-November. Identification credit: S. Kasim Photographed in Virinjipuram, Tamil Nadu.